HybridCheckout Nordic AS has been established as a new HybridCheckout partner on the 6th of February 2015. HybridCheckout Nordic AS (HCN) has acquired all rights to manufacturing, licensing to further partners/resellers and sales for the Norwegian, Swedish, Danish and Finland markets through the all-rights transfer agreement entered by PeoplePos Ltd UK and HCN. The manufacturing of the first series of the new HybridCheckout Model 7UC model has started and initial customer installations are planned to be completed in mid-March 2015 by HCN. The first customer's main focus is the HybridCheckout unique cost-saving and fast checkout features. 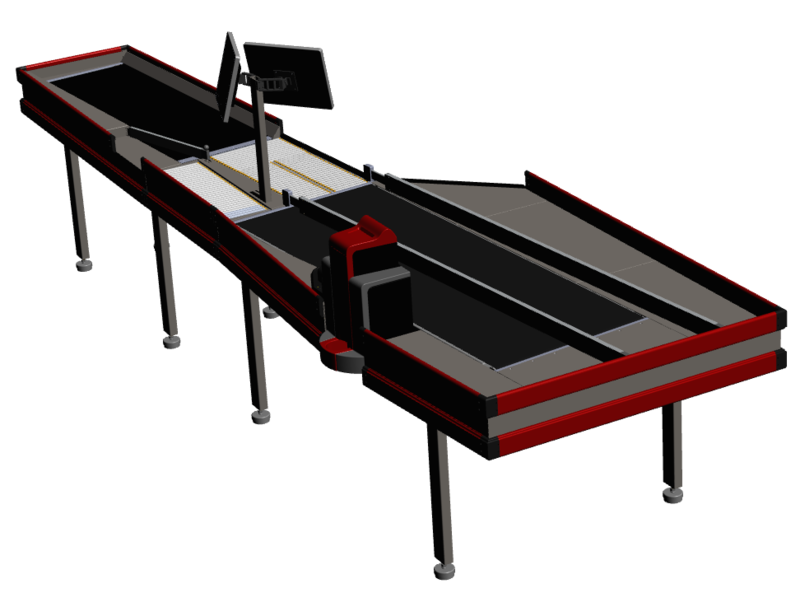 The new HybridCheckout Model 7UC is 428 cm long and 118 cm wide (cash recycler width not included). The size of the Model 7UC makes it a perfect direct replacement for many mid/large sized groceries and smaller supermarkets. For the larger groceries and mid-sized supermarket demands the Model 7C with an length of 458 cm and a width of 128 cm is a viable alternative. The lead time for Model 7C and Model 7UC deliveries are currently 5-8 weeks depending on quantity ordered and options chosen. Several colors, materials and accessory options are available. Further sizes and models may be supplied as required - please contact us for details. HybridCheckout – what is it about? (c)2014 PeoplePos Ltd UK. Patented. Patents pending.. Simple theme. Powered by Blogger.